Includes: tea/coffee, buffet lunch, snorkel and dive gear, stinger/wetsuits, prescription mask (deposit required), free guided snorkel tour. 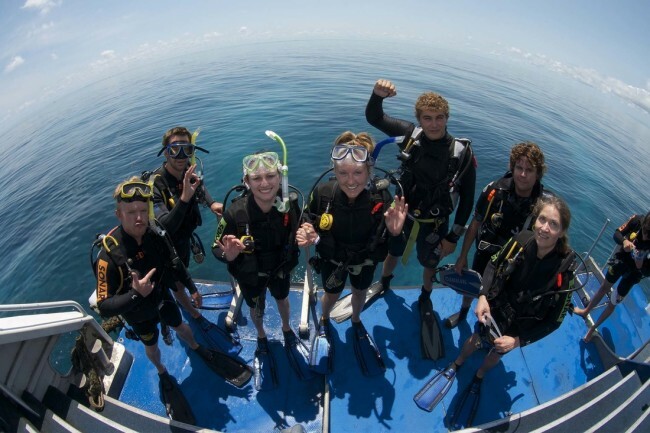 Guides are available for Certified divers - cost $15 pp per dive. Children - Age 4-14 years. Extras: An additional $20 per person (Environmental Management Charge $3.50, Fuel Levy $10.00, Port & Admin Charges $6.50) is payable on the day of travel. Cert Dive Guides: Optional at $15 per person per dive. 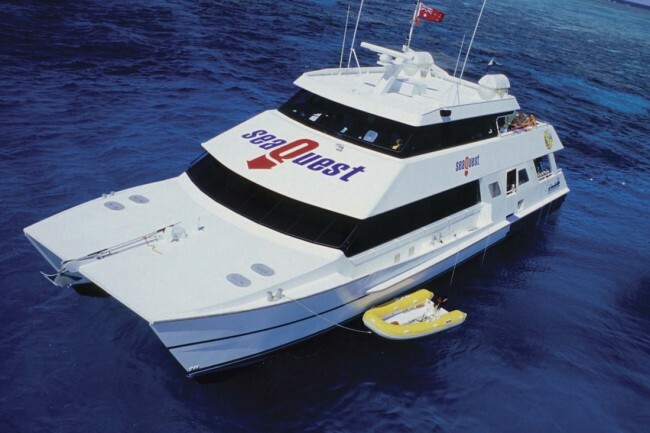 SeaQuest offers the budget conscious great value for money with the chance to experience unlimited snorkelling at two separate reef locations on the Outer Barrier Reef. 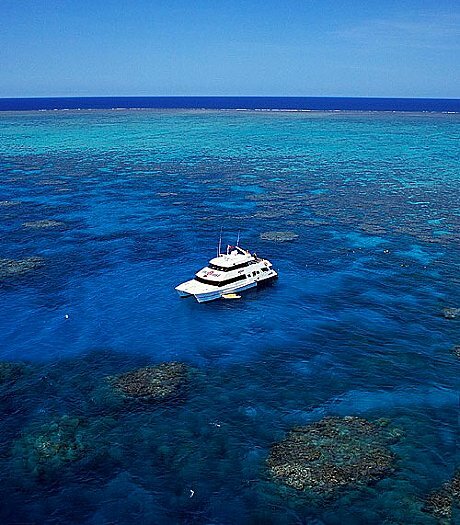 This purpose built vessel departs daily and comfortably carries up to 60 passengers in air-conditioned bliss to the Norman, Saxon, and Hastings Reef systems. 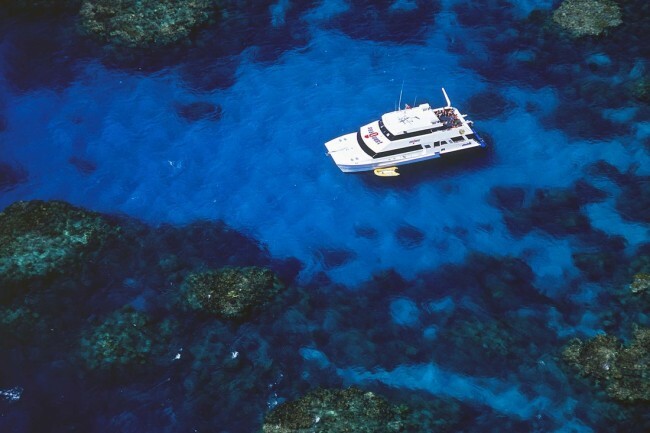 If you have never snorkelled before we will teach you how to put on and get the most out of the snorkelling gear and assist you into the water to enjoy your first taste of The Great Barrier Reef. If you are a snorkeller extraordinaire or even somewhere in the middle we will get you out and about finding some of our friendly residents. 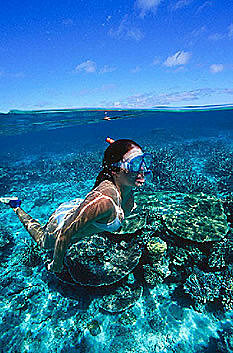 All snorkelling equipment is included as part of your trip, including a wetsuit or stinger suit. Prescription masks are also available upon request. 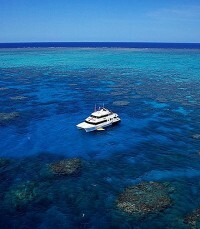 Scuba diving is also offered - So take the plunge on the Great Barrier Reef and log some quality bottom time! With over 1000 species of marine life you never know what or even who you might see down there from the thrill of finding your first Nemo, to hanging out with the resident turtles, or even cruising with Mr Ray. 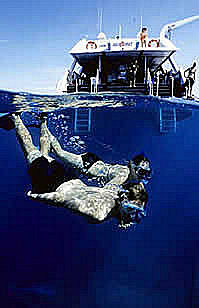 Every dive is a new experience out on the reef. 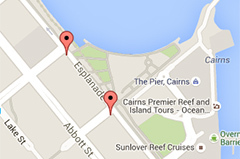 During your day trip, you will be able to dive in two different locations on the reef, chosen according to the weather conditions and the safety and enjoyment of our customers.